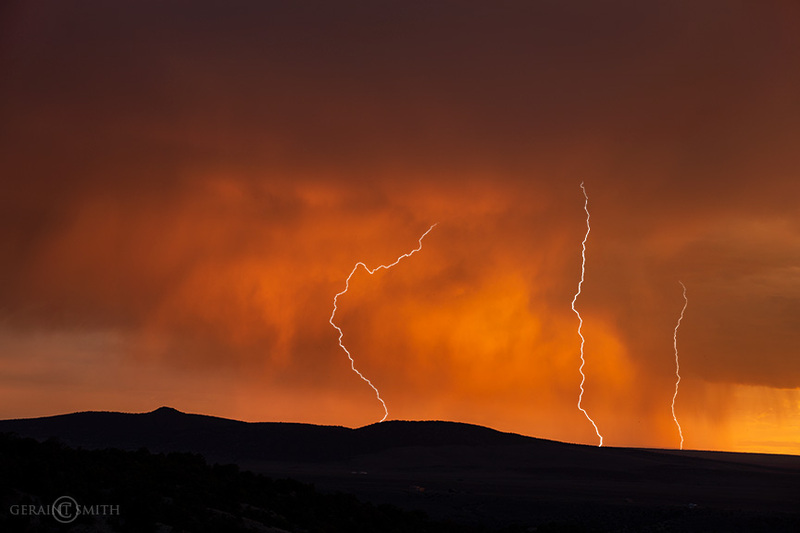 Lightning strikes on the mesa west of Taos. 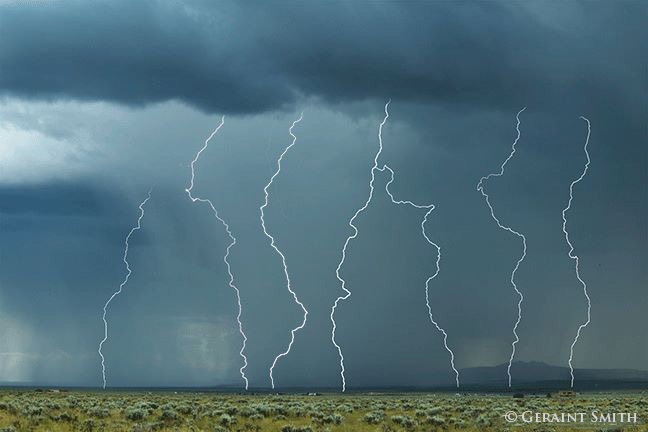 This is an image of six lightning strikes in the same location and composited into one frame. I’m posting this to see if it inspires rain soon. 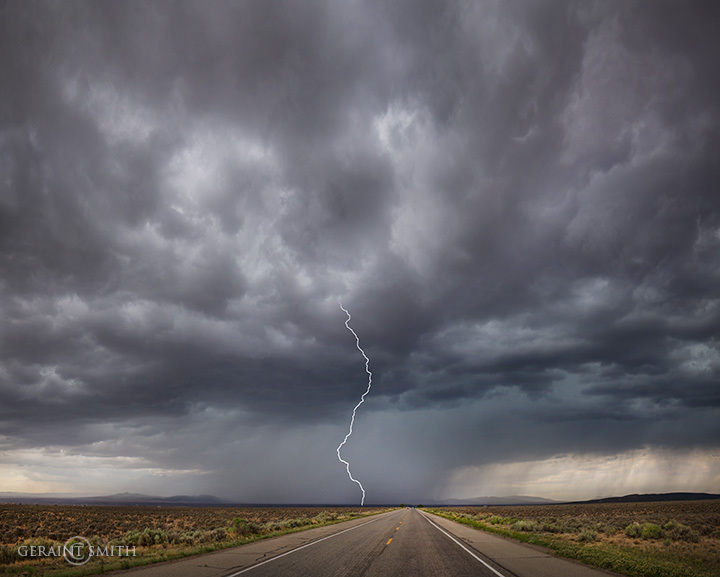 I may post more monsoon images over the next few days. This is my version of a rain dance, far more acceptable to me than dancing on the deck chanting something to bring about rain… although I have been known to do that… after all, I do hail from a long line of Druids!